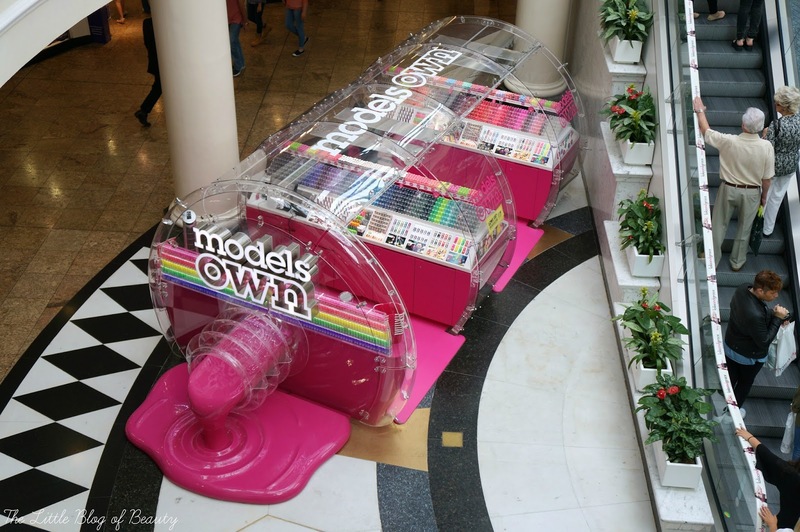 This is really just a quick post to let anybody based in the north know that there is now a Models Own Bottleshop in Meadowhall shopping centre in Sheffield. Previously the only Bottleshops were down in London, so it's great that two have recently arrived in the north (the other being in White Rose shopping centre in Leeds). When I popped over to Meadowhall for the MHBloggersHub cocktail making sessions I made sure I nipped into the Bottleshop to check it out. The great thing about the Bottleshops is that they don't need premises to move into, they are a completely self-contained shop that in theory could be popped into every shopping centre in the UK as long as the have the spare space. Even better is that the Bottleshops are actually in the shape of a nail varnish bottle. 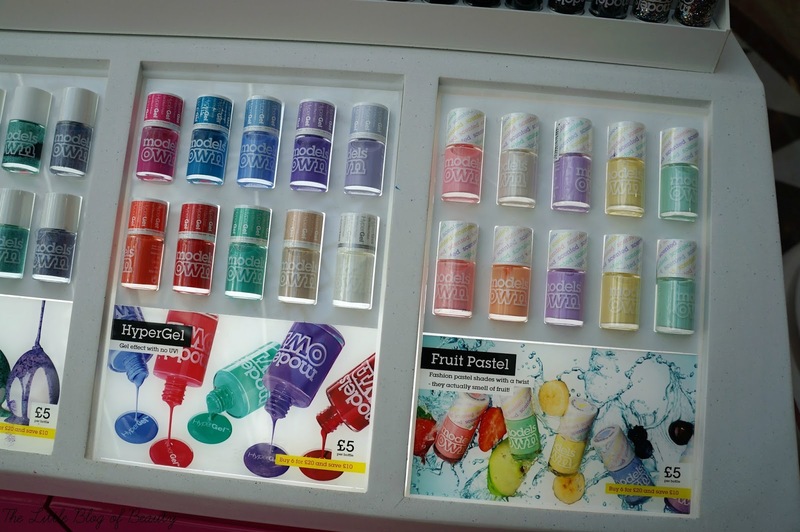 So they're a giant bottle containing hundreds of small bottles of pretty nail varnish, amazing hey! I've never actually been able to get to a Bottleshop myself, as although I do travel to London occasionally I'm usually on a long shoot, so I was excited to see one for myself for the first time. 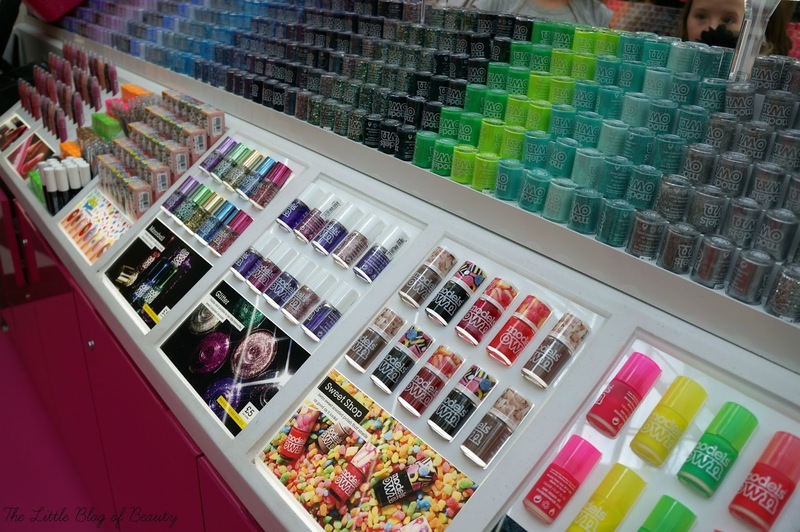 The bottles are stored upside down so you can see the shades clearly and are neatly stored to create a rainbow effect of colours along the shop. Just look at how amazing they look! There are also displays showing off the shades in each of their different ranges. 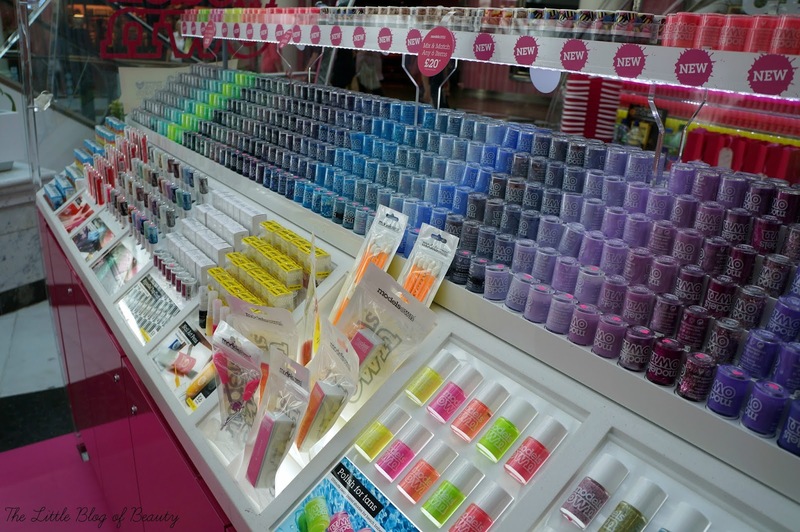 Along with their nail varnishes you'll also find their other products including makeup, makeup brushes and nail art accessories. Oh and in the Bottleshop you can mix and match any 6 items for £20, meaning you'll save at least £10 on the cost of buying them separately. 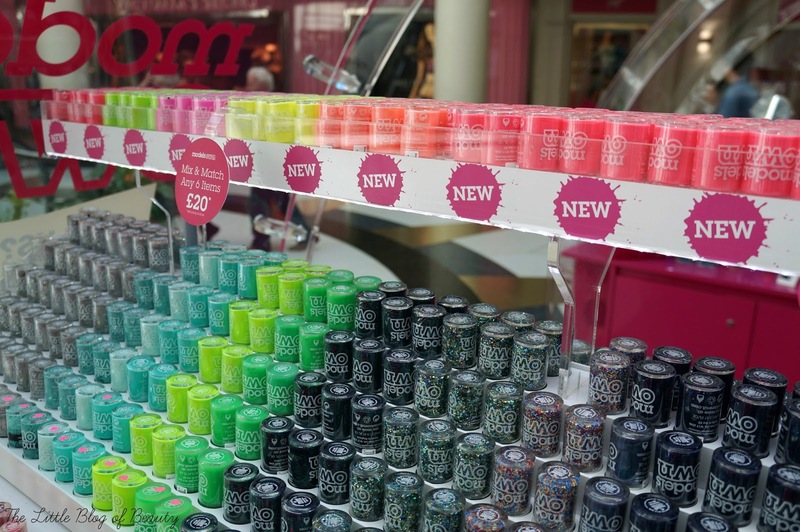 As there are now Bottleshops in the south-east (London) and the north (Sheffield/Leeds), making them a minimum of 160 miles apart, this might mean that Bottleshops will start popping up around the country so more Models Own fans can start experiencing shopping inside a giant nail varnish bottle. Where would you like to see a Bottleshop open? I'd love to go to one, they are so cute!! 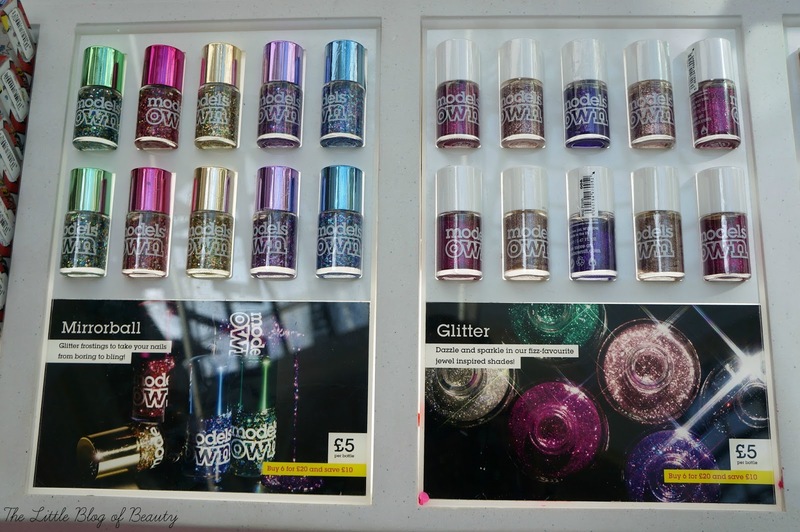 I have always wanted to try Models Own nail polish too, definitely going to try one! I'd love to see one in either Canterbury or Cambridge! My bank balance would have suffered though so maybe it was for the best haha. Thanks for leaving your link in the chat! :) you have a lovely blog - I've walked past one of these every time I go to Westfield but I've never actually stopped to take a look because it's always on the way out and I'm sick of seeing shops at that point haha! i always do notice how incredible the range of colours are though, and had no idea that you could get 6 for £20?! definitely having a look next time I'm there.